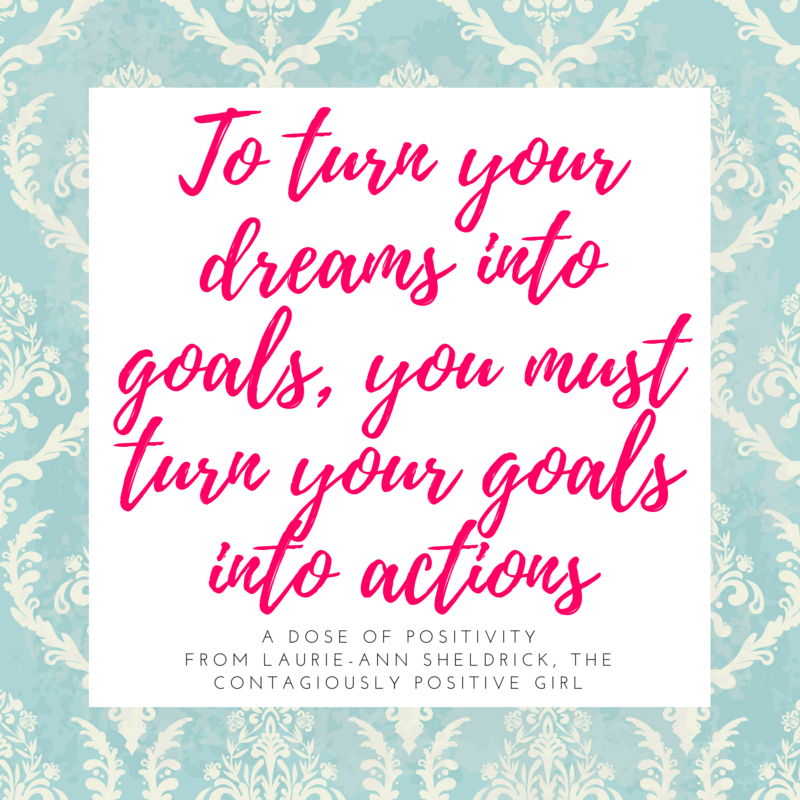 Are you feeling stuck in the endless cycle of writing goals, making to-do lists, saying what you want, reading every self-help book, but still feeling like nothing is working? Are you stuck in rut of “why is nothing working?” You are not alone. I’ve been there too, and just recently actually. I’m great at making endless lists of things I want. I’m a superb self-help junkie reader who gets inspired by books and quotes. I read my daily affirmations and prayers and my to-do lists are perfectly crafted in pretty colours. That might sound like I have it all together, but none of that means anything when I’m stuck in Dreamland and can’t get to Actionville. For the past 3 months, that is where I have been. Life happened, change happened, and I got stuck. Knowing what I want is great, but it is not enough to read a book, quote, or make and set goals and to-do lists. What I say I’m going to do means nothing if I don’t walk my talk, thoughts, ideas and dreams. The inspiration I feel while reading a book will end the moment I put the book on the bookshelf if I don’t practice the principles I learned. Who I say I want to be, for example, The Contagiously Positive Girl, means nothing if I’m not actually taking steps towards living a Contagiously Positive life. My colorful to-do lists are pointless if I’m in the endless loop of never scratching anything off of them. When I realized that I was stuck, I started to see that I wasn’t failing, and it wasn’t that nothing was working, it was that I wasn’t working. I was in this new life and was spending too much time in Dreamland and not making the daily commute to Actionville. Because it was all so new and different I had lost my way in knowing what actions to take. I was even afraid of taking the wrong step. Once I had this realization that I was stuck in Dreamland, I worked on clearing away the blocks so that I could get in the car and drive towards Actionville. You first have to clear the block. Why are you stuck? What are you afraid of? What do you really want? Have I been doing anything (taking action) to get what I want or am I stuck in a woe is me mentality? Once you see what is truly holding you back, you can start to work towards taking action. Any action you take will start to clear away the blocks, will get you out of woe is me, and will detour around fear. Everything that you say you want to do, be, or dream about, must be beautifully crafted with action. If not, it just lives in your subconscious mind as an idea, thought, or dream. Ideas and dreams are amazing and so necessary for our soul, but if we allow them to stay locked up, overtime, our soul slowly starts to feel depleted and we start to feel like, “woe is me, nothing is working.” I want you to know that the problem isn’t that you are failing, not good enough, or the universe is out to get you. Absolutely not! You are amazing. You just did what I did and stayed in the comfort of Dreamland. I don’t want you to leave Dreamland. That is where great ideas are born and your inspiration lives. I just want you to make sure that you are making the consistent commute between Dreamland and Actionville. Once you start to make that commute, motivation kicks into high gear and life starts to work. It works because you are doing the work. When you work at your life, it works. When you stop working at your life, you start to feel lost. To turn your dreams into goals, you must turn your goals into actions. Without action your goal will remain a dream. The actions you take are more important than the goals you set. Don’t be afraid of not meeting your goals. It isn’t so much about the goals that you set, but more on the actions you are taking towards achieving those goals. Every action step you take, big or small will bring you one step closer to what you have planned for your life. If you read a book that inspires you, take action and practice the principles in the book. Otherwise, the lesson is lost the moment you put the book back on the shelf. If you read a quote that gives you Goosebumps, spend the day practicing what inspired you. If you decided that today you are going to practice being patient, take action on being patient. Side note: You are not given patience; you are given the opportunity to practice being patient. If you say that you want to be happy, do things throughout the day that make you happy. Don’t wait for someone else to do it, take action yourself. Be your own happiness superhero. If you say that you want to be healthy, take little right actions throughout the day to be healthy. Start with one healthy meal, or one walk around the block on your lunch break. The best way to achieve anything that you want is to live in the ebb and flow of inspiration, ideas, dreams, thoughts and action. When you feel too tired, too uninspired, too unmotivated, too worn-out, too worried, or too stressed – just do it anyway and let the magic of taking action transform you.